We did it! We have successfully moved into our beautiful new location just in time for fall. What a move it was from Victorian house on Gloucester to ultra modern Yorkville! We love the convenience of the location and having a new renovated space to work in which includes a roof top patio. We still have a few finishing touches but we are getting there! Although we were very sad to leave Gloucester Street, we are absolutely delighted with our new office. 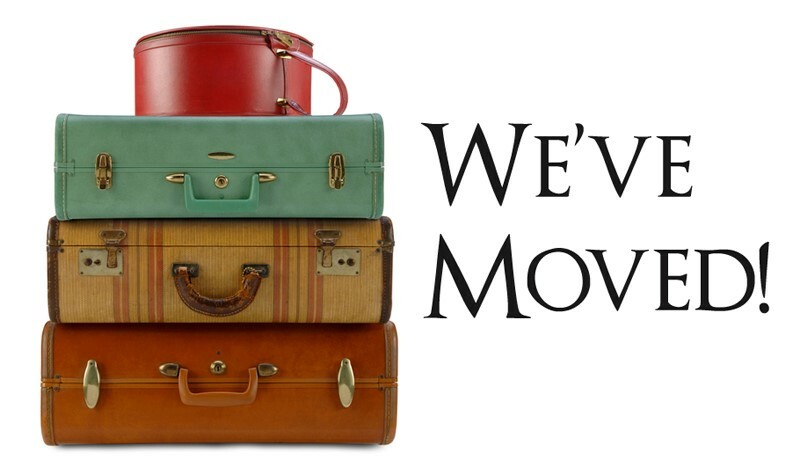 So as we say goodbye to Gloucester Street, and hello to new beginnings at 4 Collier Street. We are really pleased to have several colleagues join us at our new location. We also have a separate lovely group room for workshops. In spite of the move the summer of 2016 was a glorious one and good for the Canadian soul. Personally I will remember that in the middle of winter. Fall also has been a wonderful continuation. So here is hoping winter will follow suit. Maureen has begun filming season 4 of Intervention Canada which has been picked up by A & E and is now being broadcast across North America! She has been focusing on the healing quality of connection in recovery with families on the show. Hopefully that will be evident as you watch the show which will start airing on Sunday nights on A & E.
The Imago Conference will be open to interested couples in November in Long Beach California. For more details go to the Imago Relationships International website. Imago Workshop Presenters Training will be offered in Toronto. If you are an Imago Therapist who would like to learn how to give the Getting the Love You Want workshop for couples this training will be of interest to you. The course is designed to help fully prepare you personally and professionally so that you can achieve competence as a workshop presenter. The dates are below. Professional Facilitator Training will be offered once again for non-therapists that want to bring Imago into their work place, church or community. It seems to me that the Couples that I work with who achieve the most happiness and relational success are those who utilize the Dialogue Process on a regular basis. In fact some of my Couples use what is known as an "Imago Check-in" daily and they are making great strides in their relational recovery. This check-in includes starting with appreciations and then spending 10-15 minutes in dialogue with each other "checking in" utilizing the Imago Couples Dialogue. I have been known to say that "a dialogue a day keeps the Imago Therapist away!" Believe me its true! The Dialogue Process is a lot more sophisticated than just a mere communication tool. It promotes two healthy, mature, differentiated adults being in connection with one another. It moves us out of self- centred monologues to other centred relationality. It creates what Martin Buber called an "I - Thou" relationship. It is not the "I" or the "Thou" that Imago focuses on but the hyphen in between… in other words the hyphen represents the relationship. Dialogue creates relationship and relationality between two people (and communities). It brings relationship into being and new life into a dead relationship. "Dialogue is to love, what blood is to the body. When the flow of blood stops, the body dies. When dialogue stops, love dies and resentment and hate are born". R. Howe; "The Miracle of Dialogue". Dialogue is the language of love. It gives life to both parties. There is both the intimacy shared and a new found energy of curiosity about the profound depths yet to be explored with each other. There is a mutual increasing awareness of both self and other. "The Field: Out beyond ideas of wrong doing and right doing there is a field. I'll meet you there. When the soul lies down in that grass the world is too full to talk about." To be dialogical means to not impose your view on the other but to speak and listen with curiosity, openness and awareness that there is an "other". One of the toughest journeys for couples is to learn to honor the "otherness" of their partner. When this occurs there can be a genuine meeting and connection is birthed. Dialogue is the address and response between two people in which there is a flow of meaning between them, in spite of all the obstacles that would normally block the relationship. It is that interaction between them in which one of them seeks to give himself as he is to the other, and seeks also to know the other, as the other is." R. Howe; The Miracle of Dialogue. Dialogue is the language of relationship and mutuality. It creates the re-union to ones' self, to ones' partner and leads to spiritual healing. Through dialogue new possibilities are feasible and growth and healing result. Couples who learn the depth of possibilities with dialogue achieve real love and consciousness. They want to share that with others and help to accomplish the Imago mission of "Healing the world, one relationship at a time! Already interested in Imago and have some friends and family that you’d like to get introduced to Imago but not sure how to do it? Want to "polish" your Imago-skills, or interested in taking your relationship to the next level? Thinking about Getting the Love You Want couples workshop and would like a little taste of what to expect? Want to better understand relationship patterns and dynamics? Join Sandra for a 2h introduction to Imago Therapy & Theory. October 24th or November 28th at 6pm. Cost of the seminar is $100 + HST per person. E-mail (imagosandra@gmail.com) or call (416-833-1205) Sandra to register. Learn about your own internal story, how to observe it with more curiosity, calm, and without getting wrapped up in it. Your partner will learn that, too. Learn how to stay engaged during a conflict, experience faster recovery, and how to disarm those triggers all together! Come for an evening that will engage your self-awareness, other-awareness, curiosity and fun. November 14th or December 19th at 6pm. Cost of the seminar is $150 + HST/couple. Thursday, October 4, 2012 - Last oportunity to do a workshop for this year. Valentine's Day is celebrated in a big way around the globe! It is interesting to note that the popularity of this ancient festival has grown immensely and is said to be increasing by the year as more and more people are influenced by idea of celebrating love and relationships. The present generation holds the festival in high regard and celebrates the day by expressing love not just to their sweethearts but everyone they hold dear and special. We want to share these valentine sentiments with you. Valentine's Day holds immense importance for those in love. Lovers around the world take this day as an opportunity to express love for their beloved and spend a day honoring their relationship. Although we recommend that you appreciate your partner every day, Valentine’s is a special day to benchmark your love. Indulging your sweetheart with flowers mainly red roses, chocolates, cards and other gifts of love is the other most popular custom of Valentine's Day for lovers. Celebrate each other with your very own special caring behaviors. Give each other the gift of attending a Getting the Love you Want Workshop if you have not already done so. Enjoy each other. Make everyday a Valentine’s Day by practicing the top 10 Relationship Tips on our website! Valentine's Day festival is much awaited by those in love but dreaded by singles!! So much hype, that some singles even become depressed about not having a partner or a special relationship. Some times the sense of isolation becomes so strong that many singles tend to “hate Valentine's Day” - the day that is actually meant to celebrate love. We have several suggestions for Singles regarding Valentine’s Day. · Plan to spend time with friends. · Throw a “singles party” or “Un-Valentine's Day Party” at your home and have a blast. You will know that life is fun in the company of loving friends. · Express Appreciation and Gratitude for friends and dear ones. · Think Positive. Move away from negative thinking. Your soul mate is walking toward you as quickly as you are walking towards them! · Attend a Keeping the Love you find Workshop in preparation for your new relationship. · Create an Imago Relationship Vision. Remember that energy follows attention. Visualize your dream partner and relationship. The most popular flower on Valentine's Day is the red rose. Reasons for the same are two-fold, one is that the color red represents love, and Valentine's Day is the day of love, so the natural choice has to be a red rose. The second reason is in relation to the mythological significance of red rose, it is the favorite flower of Venus - the Roman Goddess of Love and Beauty and this also makes it the perfect choice to be given to someone you love. The rose has become the symbol of love and romance by poets, writers and philosophers. Red heart pierced by the Cupid's arrow is a traditional symbol of Valentine's Day. Heart symbolizes love and giving someone a heart means to hand over one's existence to someone. A heart pierced by a Cupid's arrow means that when someone presents a heart, the person takes the risk of being rejected and feeling hurt. Piercing arrow therefore symbolizes death and vulnerability of love. Love is worth the risk as we become more fully ourselves by loving an “other”. Open spirit to open spirit! Happy Valentine’s from Maureen, Sandra and Yvonne. Happy New Year! May this year be filled with loving relationships, compassion, friendship, curiosity, good health, fun times and abundance. I believe this is a wonderful time to look at the year ahead and set goals personally and for your relationship. Most of us are used to setting resolutions for ourselves but often we do not extend that to our most intimate relationship(s). An exercise that I Love to do is look back at the last year and appreciate one thing about myself in my relationship that I am proud of and then to have my partner do the same and share that with each other. Then to also commit to one behaviour change each that we will commit to on behalf of the relationship. It is also a great time to either do your relationship vision or to review and revise your current one. If you are single do the same with a friend. Wishing you the very best for 2012. 2011 in Perspective at MBA. 1. Maureen successfully took part in a new TV Documentary series "Intervention Canada" that can be seen on Slice TV Channel 41. Stay tuned to see what 2012 holds. 2. Sandra continues to collaborate with Boost Child Abuse Intervention and Prevention as a clinician and educator in the area of early childhood mental health and attachment and in relational approach to healing. In addition, following her 2010 graduation from the Center for Intentional Living in New York, Sandra has strived to bring the program to Toronto. It is with excitement that she’d like to announce the full 3-year training starting in Toronto in April 2012! 3. First Imago Community Educator Course was offered. Yvonne Singer has officially become a Certified Imago Community Educator. 4. Recovering our Connection - A Getting the Love You Want Workshop for Recovering Couples has been also successfully launched. Maureen is now offering this workshop on a regular basis. Dates can be found on the website. Don't miss this opportunity to meet with other recovering couples on the journey of healing together. This workshop has been designed especially to help Recovering Couples to regain their connection. 5. Check out our new Addictions Services page on our website at www.successfulrelationships.ca. We are delighted to be offering this new program called "Connected Parents, Thriving Kids". This much awaited course will be offered by our very own Jeanine Lapointe on an 8 successive weekends. 2. Imago Connects continues! Already hooked on Imago and have some friends and family that you’d like to get introduced to Imago but not sure how to do it? Wanting to “polish” your Imago-skills, or interested in taking your relationship to the next level? Wanting to understand relationship patterns and dynamics? Come join us for a 3h introduction to Imago Therapy & Theory. Next Imago Connects seminar comes February 6th and March 19th at 6:30pm. Most people, when asked what they fear the most, reply “not living to my utmost potential”. Not living up to our dreams applies to our relationships, too. More often than not, we find ourselves bogged down at an impasse. More often than not we need some kind of a precipice to change. More often than not we give up, tired from the exhaustion of the struggle, weary and hurt. Very rarely we hear about the struggle as a possibility to be “our moment” (you need an Imago-therapist to tell you that). What is trying to happen? Imagine this: that every negative affect has a longing, a wish, underneath. If we are honest with ourselves and if we are brave enough to open up with some “vulnerable trust” (as I heard a colleague wonderfully name it), then peeling off the layers of struggle often reveals a place of wondering whether I am still precious to my partner, can I trust, do I matter, will (my partner) respond (to me, my needs, etc); and so on. Such questions are tightly tied to the sense of who we are. These are not just “some” questions; they are the basis of the adult connectedness, or in therapy-lingo, attachment. Attachment is nowadays a buzz word in psychology. But attachment is not just a theory - most importantly it is a vital force, and a base for any recovery. We need it (with other humans) at first to survive, but throughout our lives, and always, to thrive. Just as attachment is imprinted within us as an invisible map that is shaped from the earlier times, relationship healing might seem equally elusive. I could tell you about the attachment theory, or neurobiology of repair (apparently, biochemically/physiologically we need those 20 minutes of “time-off” from each other before addressing an issue – turtles/minimizers of the world, rejoice! ), and such information is sometimes important. However, the theory won’t do much, unless there is an experiential moment that follows it. What does “to really connect” mean to you? How would it be for you to just sit & talk? Can you imagine it? Are you bored? Scared? Have anything to say? What would you feel if you were be doing that? Explore the whole world of possibilities of turning yourself towards your partner. One thing that I learned in my practice and that I am sharing with my clients is that the “winner” is actually the one who makes the first bid of connection (no, not the one who can stonewall or stay away the longest). Offer one small vulnerable truth about yourself. Most of us, when met with the vulnerable, will share our own vulnerable pieces. That is all it takes; one small bid of connection; one small step towards each other. Know that successful couples are not the ones who don’t fight, but the ones who have the ability to repair when in conflict. So turn on (your own vulnerability), attune (to what is trying to happen below that bugging conflict), and connect (in any one small way). Imago-Dialogue. Be the one to make the first bid of connection. Begin by thinking positive thoughts each day about your partner and your relationship. Remove all negativity, shame and blame from your relational space. Dialogue your problems to resolution. Take the time to give your partner two appreciations on a daily basis. Remember two appreciations a day will keep the Imago therapist away. We create our own context We make it happen! Be intentional with each other in not just your actions, your thoughts and dialogue with each other. Practice being "Imago intentional" in your relationships with family and friends. If you haven't done a Keeping the Love You Find Workshop, plan to do so this month January 27 -29 2012. You can get ready for the relationship of your dreams in the meantime. Give yourself and a friend an appreciation a day. Anonymous Love is to the heart what the summer is to the farmer's year - it brings to harvest all the loveliest flowers of the soul. Now that spring has finally sprung I find it possible to turn my thoughts towards renewal. I love this time of year when flowers begin to bud and bloom and birds sing more mightily. Everything seems fresh and new. This year I noticed how the first leaves that bud seem to be a greener green. Everything is so vibrant. It is as usual great to be alive and experiencing love. I believe spring is a wonderful time to replenish our internal reserves and to facilitate growth within your relationship or to look at yourself with new eyes if you are not in one. This spring could also be looked at as springing into summer! It has taken so long to manifest into good weather! Summer is almost here. It has made me realize how deeply many of us are impacted by our environment physically as well as emotionally. It is a good time to focus on each other and bring more playfulness and relaxation into our relationships. As spring and summer approach, a time of growth and renewal begins. Our relationships can be our best resource for growth and renewal. It is a good time to remember that one of the beautiful things about being in a committed relationship is that our partner holds the blueprint for our ongoing growth. They can hold a mirror up for us on a daily basis inviting us to grow in exactly the way in which we need to grow. Thank your partner today for holding this mirror for you... and p.s the fun thing is that you hold the mirror for your partners’ growth. It's mutual! What is new at MBA? Maureen is taking part in a new TV Documentary series that will be aired this fall. Stay tuned as to what the series is about. It is top secret! 1. First Certified Imago Community Educator Course begins in July in Toronto. If you are interested in teaching Imago courses and concepts have a look at Educational Services - Imago Community Educators on our website. You can also contact Yvonne if you have any questions. 2. Recovering our Connection - A Getting the Love You Want Workshop for Recovering Couples. This new workshop will be offered over an extended weekend at a lovely location (Greene Stone Muskoka) in Bala in August. This all inclusive weekend will be offered from Thursday, August18th until Sunday, August 21st. 2011. Don't miss this opportunity to meet with other recovering couples on the journey of healing together. This workshop has been designed especially to help Recovering Couples to regain their connection. Pre-registration is necessary. Please contact Yvonne for more details. 3. Check out our new Addictions Services page on our website at www.successfulrelationships.ca. We create our own context, we make it happen! Be intentional with each other in not just your actions but also your thoughts. Dialogue with each other daily. Practice on a daily basis being "Imago intentional" in your relationships with family and friends. If you haven't done a Keeping the Love You Find Workshop, plan to do so this Fall. IN the meantime you can get ready for the relationship of your dreams. Give yourself and a friend an appreciation a day.